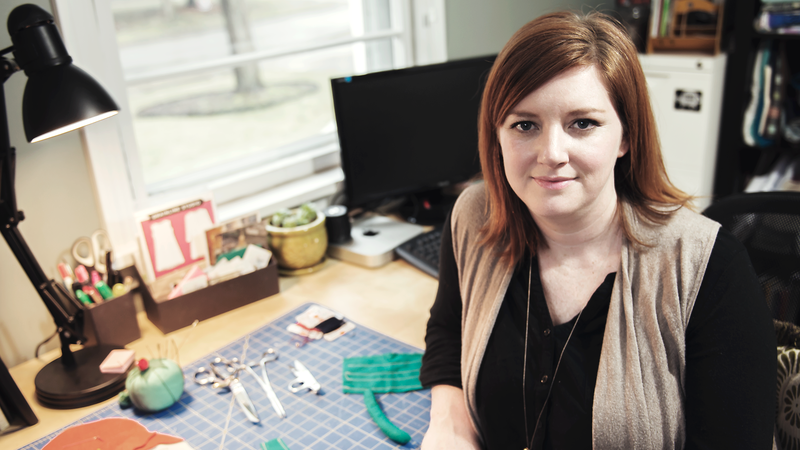 This week, we’re interviewing Thread + Love's Theresa Morrow, a hand sewn doll maker from Kent, OH. Theresa’s heirloom rag doll designs have evolved over time into a signature style and are intended for durability. For creating patterns and creating her dolls, Theresa uses plenty of colored fabrics, strong thread, sewing machines, and even freezer paper. 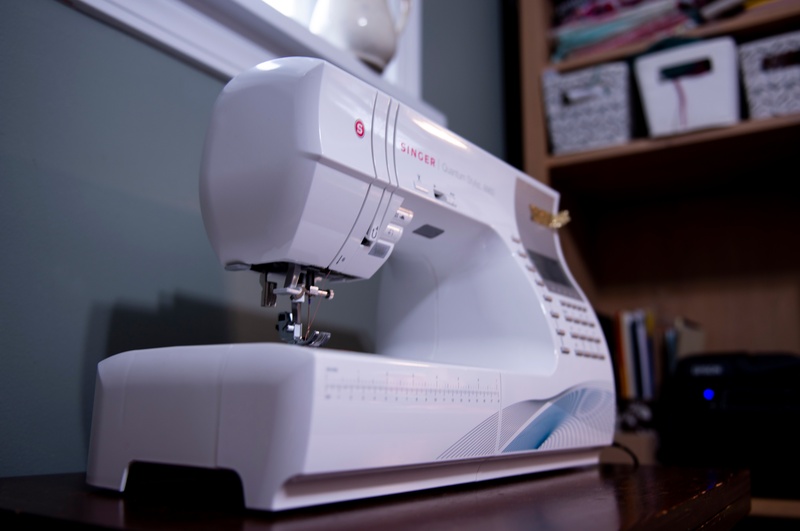 If your brand sells to doll makers or makers who sew, this 1-on-1 interview with Theresa will give you some important insights into making connections with makers like her. I’m Theresa Morrow and I make heirloom dolls, and occasionally some other sewn goods. My brand is called Thread + Love. 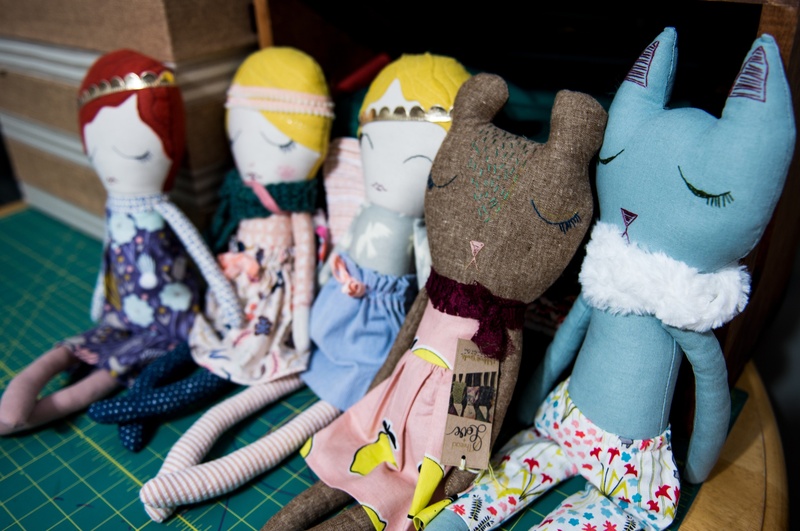 How and when did you get started making dolls? I made my first doll for my daughter when she was about 1, and I loved it. I wanted to make something that was natural and wasn’t mass-manufactured, so I decided to just make it myself. I found a tutorial online, and my friends all encouraged me to start selling them, so I started at the Kent farmer’s market. I developed my own pattern, and the dolls got more sophisticated over time. What's important to you when you're choosing a product or material to use? I always make sure the fabrics are high quality and sturdy because kids are going to play with them, so it’s most important that they can hold up to the test of time because I want them to be heirlooms and things that people can keep and pass on. That’s probably the most important. Price is important because I’m trying to make a little money with this art, but not as much as durability. What is the buying process for a new product you might try? If it’s not expensive, I’ll probably order some just to see. Then how I decide if I’ll keep using it is if I notice markedly that it’s making a difference in the product for the better, then I tend to stick with it even if it costs a little more. Of course I might stick with it if it costs less, too. 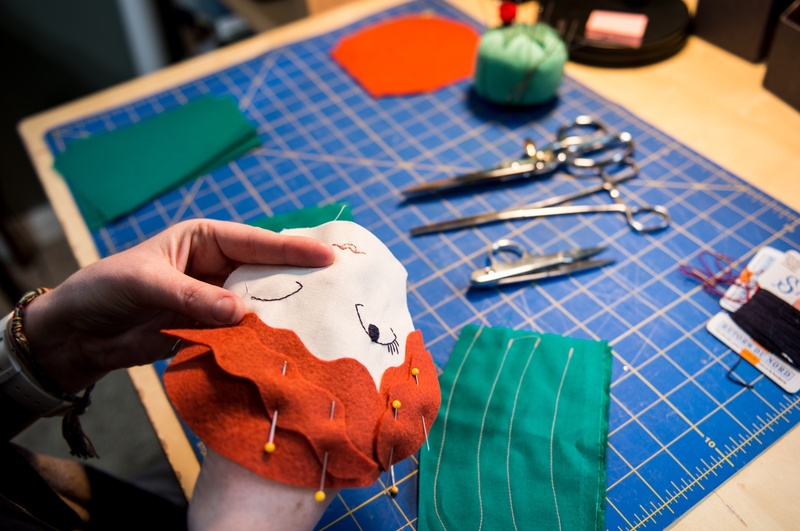 What kind of research goes into doll making? I’m always seeking out new products to use. I might find a new store or try out new products to see what the quality is and if it’s going to improve the look of my dolls or not. I’m also always practicing embroidery separate from the dolls to improve my skills there and my sewing skills in general so I can make a better product. I’ve been on Facebook forever, personally, since back in the day when you had to go to a university. But now I find my strongest platform is Instagram. I think for a lot of artists it is the strongest because it’s all image based, and you can show your product and connect with other makers pretty easily as well as with your audience and your buyers. My Facebook business page I use, but usually it feeds from my Instagram, and that’s pretty much it. I dabbled in Twitter personally, but I didn’t really find that I’m drawn to it. I’m hoping to maybe dive into YouTube a little this year, and maybe make some videos. How do you connect with other doll makers? 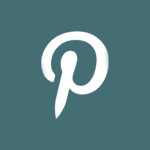 Mostly through Instagram, and I’m in a Facebook group where we share our challenges and ideas and encourage one another. I think I learn a ton. The biggest challenge is probably all of us trying to find our individual style of doll. Essentially, they’re all rag dolls but we’re all trying to find our own style within that. It’s been really supportive and I haven’t had any negative experiences with other makers, and I get together once a month with other makers from the Cleveland Flea, and we just chit chat and have coffee and try to help each other when we’re struggling with something. What is the process to make one doll? I start with a pattern I use that’s cut out of little plastic pieces that I can just trace, and those are the standard pieces, but sometimes I’ll deviate the shapes if I’m trying to make something special. Then I cut the fabric. Then I usually start with the face and the hair because I feel like that sort of sets the tone for what the whole doll’s look and feel is going to be. All the faces are hand embroidered, so they’re all different and can change a little bit. I don’t use a template or anything for the face, so they come out unique. I’m totally inspired by all the fabric collections out there, and one of my favorite parts of the process is mixing and matching what all their clothes are going to be and what their legs and stuff are going to be. So I put together the mix of fabrics, and I sew the pieces together, flip it inside out, and stuff it. I use all-natural wool because I love how firm it can be, and it smells really good… like a farm, kind of. And lastly I do the clothes and make little accessories for them. The design can change along the way from what I had sketched out. What about trial and error? 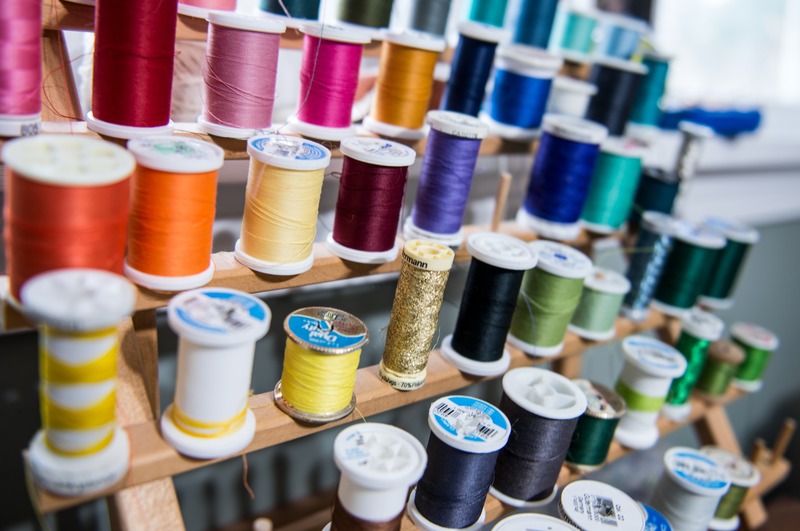 Did your patterns take some experimenting? The patterns definitely took several tries, and they’ve changed too. Some things are easy to figure out, like the arms and legs, but figuring out the clothes and hair is more challenging. Sometimes I’ll just do them by hand and make them work without a pattern. It took a little while to figure out, but it’s not a huge deal if you mess up. Freezer paper is my best friend because you can iron it onto fabric and then it peels right off for patterns. When I found out that I could use it that way, it changed my life [laughs]. It’s cheap and it’s awesome. Is it something you like to get a little lost in? Yeah, and that’s part of the reason I got started, because right before I had my daughter, I quit my other job, and we moved from Virginia to Kent. Being a stay-at-home mom is awesome, but also you need something that works your brain in a different way, so that’s one of the reasons I got started. It takes me to a different place and lets me be creative for a little while. Depending on how many accessories and stuff it has, one doll takes about 4-5 hours to make. So many places! Really, my kids inspire me, and just watching the way they play and interact. I also get a lot of inspiration from children’s books. Before I had kids, I had no idea that there are just so many great artists making these beautifully illustrated children’s books, so I get many ideas from there. Nature and bringing in that natural element also inspires my work. Those are my main sources. How do you fit that time into your schedule? I imagine with two kids that's a little tough? Yes, that’s probably the most challenging part. Both of my kids are in preschool, which is like 2 hours, 3 days a week, so that’s like 6 hours. So I try to make alongside them playing so they can see and be encouraged to be creative and artistic too. I like them to see what I’m working on. I used to have my studio down in the basement, so I would only work at night, basically when they went to bed, but I moved it up to the main floor and now it’s a lot easier. Plus they’re a little older now so they can play and I can work, but I do some after they go to bed still. It depends on how much concentration I need. When a challenge comes up, how do you deal with it? I have a pile of dolls that didn’t quite come out right. Usually I can catch issues early enough in the process that not a whole doll is ruined. But reaching out to other doll makers helps with challenges, and if I have a problem, I often look on YouTube for a tutorial for it. I accept it as part of the process. Some dolls go in the pile, or I give them to my kids to play with. Definitely when I go to events, somewhere like the Cleveland Flea, and people come into my booth. They have a big smile on their faces right when they walk in, because they remember having dolls like that when they were kids, and they remember, “My grandma or my aunt made something like this for me.” That’s most rewarding: interacting with people and hearing their stories from when they were kids and what their favorite dolls were like.